Dunes Hotel Apartments combines luxury, comfort and hospitality in a bouquet of offering of modern amenities, value-added services, and tailor-made packages in Dubai, UAE. Extra-spacious accommodations are not only bigger and better than hotel rooms but also include a lounge, bedroom, and kitchen. Dunes Hotel Apartments was a perfect place to stay in Dubai, especially when transiting through the Dubai airport. I was picked up in a very nice SUV and transported to the hotel where I was greeted by the Dunes Hotel Apartments staff! They greeted me with flowers and it was just the sweetest thing. After an incredibly long day of travel it was the warmest welcome that I could have imagined. It was great to meet David, the front office manager I had communicated with, and he was very kind to show me to my room as well. Speaking of my room, it was fantastic! It was so large and had a whole kitchen, living room, balcony, two bathrooms, and a huge bedroom. It would be a great place to spend an extended period of time in Dubai as it was so furnished and had everything that you might need! I had a great breakfast next to the beautiful rooftop area and was just amazed with the friendliness of everyone that I encountered throughout my stay. Each and every member of the staff, at all times of day were so kind, welcoming, and made sure to say hi. It was such a nice, though quick, stay, and I definitely recommend the warm hospitality of Dunes Hotel Apartments if you need a place to stay in Dubai! 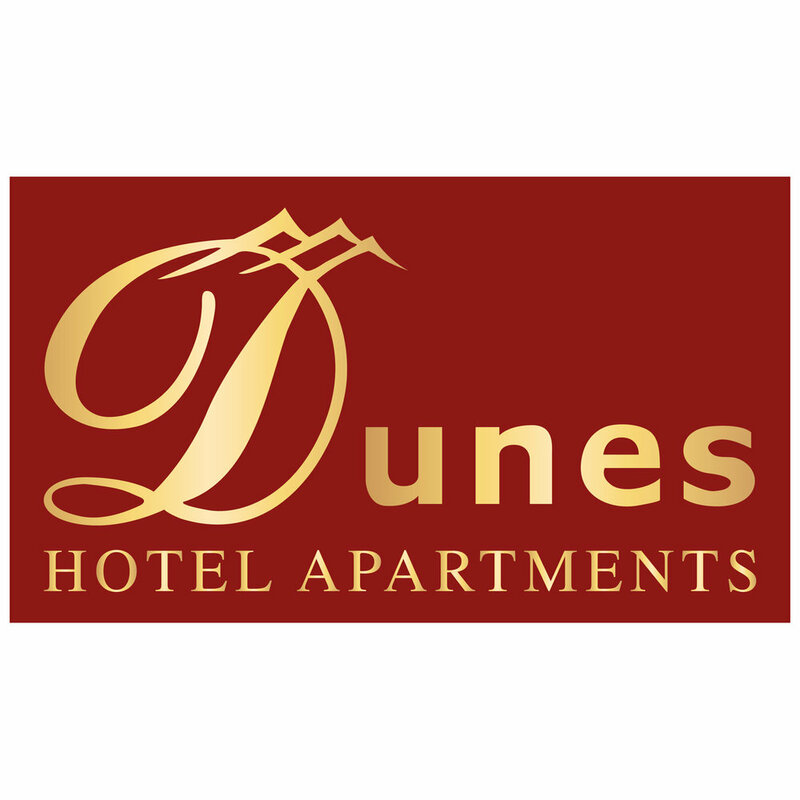 To learn more visit the Dunes Hotel Apartments website here.